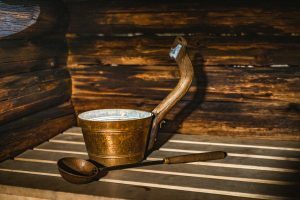 You can enjoy the sauna in the Tankavaara Gold Village all year round. 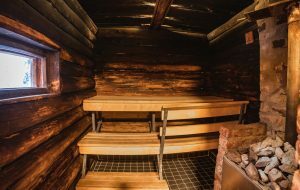 Sauna warms up in the summer and winter. Would you like to walk a snowy path from the wilderness cabin to the sauna and enjoy rolling in the snow between the steams? it’s possible here! Before your sauna experience, please check-in at the reception/restaurant so our staff can show you where the sauna is. 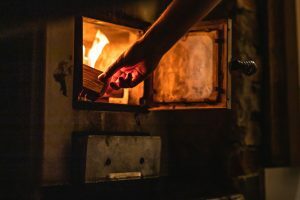 Book a sauna reservation at the bottom of this page or ask for a sauna hour from our reception. Keep the time in your mind and go to the sauna on your own turn. In Tankavaara, the sauna hour is private, your family or group has reservation for one hour. In addition to the wood-heated sauna you have a dressing room and a shower. Before going to sauna, take your towel from the cabin. Take a shower before going to the sauna. Finnish people go to sauna naked, but you can put on a clean swimming suit or a towel as well. Throw water to the sauna heater softly. If the sauna it’s too hot, you should cool off either in the dressing room or outdoors. Do not open the sauna window because the sauna will cool down too much. Rolling in the snow after the sauna is a popular Finnish way to cool off! Try it too! Drink water between and after the sauna. Other cold beverages are good sauna drinks, you can buy your drinks from our restaurant! 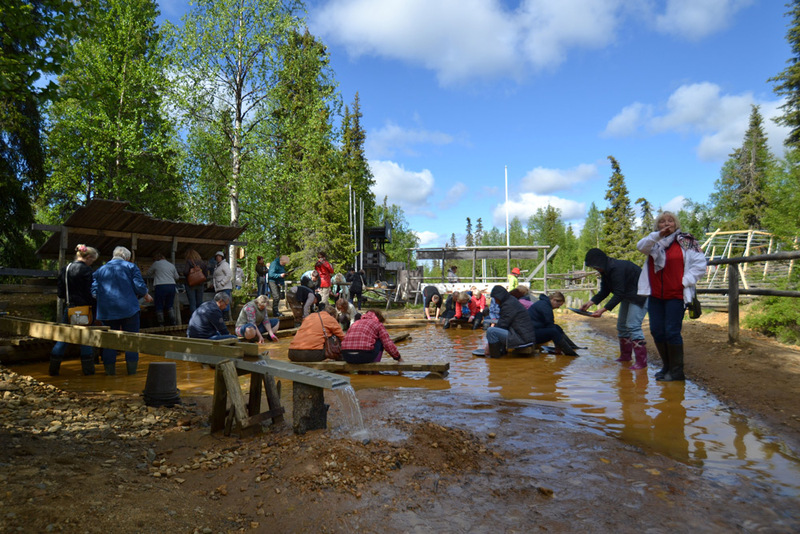 Tankavaara Gold Village is located along the E75 road with good access, to the north of Sodankylä town. Our address is Tankavaarantie 11 A, Tankavaara (Sodankylä). We are open every day from 9am to 9pm. Make the reservations below or in the reception.